Despite the continuing expansion of the wolf in Europe, in particular Central Europe, the EU Commission does not want to change the wolf’s protective status. 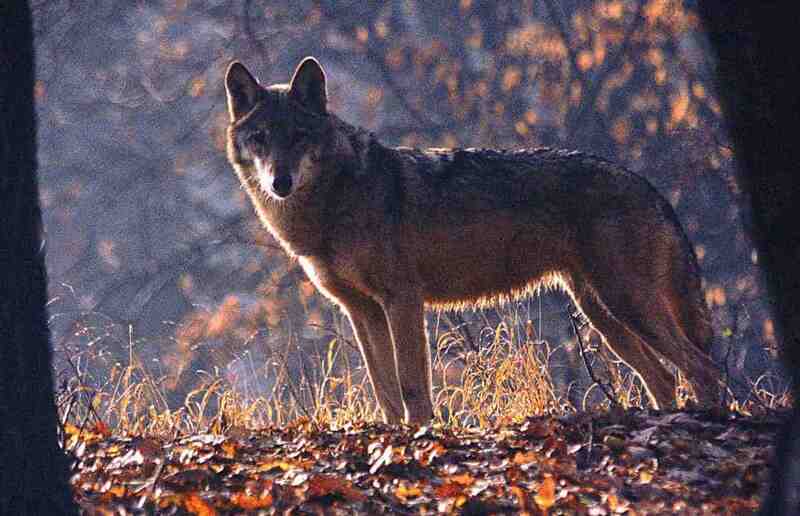 Phil Hogan, Commissioner for Agriculture, stated to the “Neue Osnabrücker Zeitung” that the wolf is still an endangered species in most parts of the EU. Therefore, a focused hunting of the animals to minimise their population in counterproductive and will be prohibited. According to Hogan, the EU Commission is aware that the spreading of the wolf causes problems. A survey of the “Neue Osnabrücker Zeitung” in the federal states of Germany last year, revealed that since the return of the wolf, more than 3500 out of 1,800,000 livestock animals have been killed in Germany. In contrast approximately 50.000 were killed by lightning, bad weather and infections like worms. Also almost all of the livestock killed were unprotected. Mr Hogan stated that this is recognised by the EU and that a better protection of grazing livestock will be financially supported. Furthermore, the current regulation already allows the shooting of individual animals. But only if it serves the “population management” and does not jeopardise the survival of the species. This includes the shooting of so-called “problem wolves”, such as “Kurti”. The state government of Lower Saxony instructed to shoot him in April 2016 after he continuously came close to people and beg for food. It turned out that he most surely was fed by soldier in his first years being part of the Wolfpack Leo based in the military training ground Munster in Lower Saxony. Decisions like this are backed up by homepages such as the Swiss homepage chwolf.org. There it says that the wolf is an integral part for a forest’s biodiversity. Studies prove that the wolf actively contributes to the natural balance of ecosystems. Furthermore, its presence can lead to more vital game populations. This is because the wolf has a regulating effect on game populations. Consequently the behaviour of deer and roe deer changes. They wander around more and do not feed on the same places all the time. This also has positive effects on forest rejuvenation. In the beginning of 2017 the WWF demanded a clear commitment of Germany’s government for the wolf’s right to exist. The organisation stated that it is necessary to work on solutions. In particular for the substantial problems of the extensive pasture grazing in Germany. The German nature conservation organisation NABU thinks that the possible hunting of wolves cannot be a solution to wolf attacks. Their federal chairman Leif Miller said, that in most cases of attacks mistakes in the herd protection measures have been determined. He continues that it would be wrong to lead the farmers believe that the shooting of a single wolf would help them. The rest of the pack is still out there and still won’t be afraid of the livestock. It is of major importance to support and reinforce the farmers in protecting their livestock. For instance with special fences and herding dogs as well as with the financing of such measures as already effectively practised in Brandenburg and in Graubünden Switzerland. The federal office for environmental protection and the federal documentation and counselling centre of the wolf (DBBW) recently published data that proves that there are about 60 documented wolf-packs in Germany at the moment. That is 13 more than a year ago. The wolf surely has a wide variation in food and helps control rodents and other smaller animals all of which have an impact on the environment. Sheep are merely an easier prey for them unless the sheep are guarded by dogs and fencing and if this protection could be extended to a greater number of flocks the wolf terror would become a controlled activity. Italian farmers are known to put out poisoned baits to kill wolves and kill vultures that go down to feed on the carcasses. The police often know who the culprits are but do nothing. The farmers have no fear of prosecution and are actively undermining vulture reintroduction programmes in france, which are the origin of many of the birds summering here. I agree that many farmers make the wolf the scapegoat for the depredations of the many feral dogs around. Some estimates put the number of feral dogs in the mountains at 65,000! many more than the wolf population. Pressure must be put on governments to keep their houses in order. Most livestock attacks/losses are due to feral dogs, not wolves. Wolves are just a handy scapegoat for farmers who are reluctant to spend time/money to ‘proactively protect’ their livestock either by use of guardian dogs, donkeys, llamas etc, by increased human presence, or by use of the many effective non-lethal deterrents.